Tony Greenstein's Blog: ELECTION UPDATE: Is it any wonder that the Old Crow refuses to do TV debates? Will Progress MPs refuse to support Corbyn as PM? ELECTION UPDATE: Is it any wonder that the Old Crow refuses to do TV debates? Will Progress MPs refuse to support Corbyn as PM? Watch Theresa May Refusing to Defend her Vote to Support the Iraq War - It was all Corbyn's Fault! 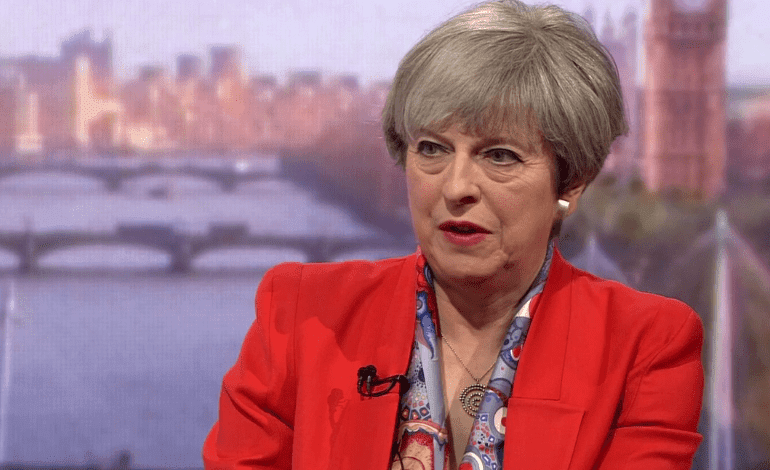 In a short 1 minute 20 seconds clip, Theresa May refused to say, in her interview yesterday with Andrew Marr, whether she was right to vote to support a war in Iraq alongside Tony Blair. As Marr said, Corbyn was on the right side of history. All May could do was first avoid the question altogether by attacking Jeremy Corbyn's refusal to defend the country - as if it's under attack - and then refer to how we should trust her ability to negotiate a Brexit deal. If her record so far is anything to go by, with a hard Brexit as the price for refusing to accept freedom of movement of workers, then Britain is going to end up with either no deal or a very bad deal if it doesn't rethink exit from Europe. Last week I made a prediction of a hung parliament despite the then lead of over 20% for the Tories. It has come down by 10% in one week as people have begun to see through May's strategy of attacking Corbyn as 'weak' for refusing to saying he would exterminate millions of people with nuclear weapons, rather than answering any questions of her own or refusing to make any specific commitments over e.g. the triple lock on pensions. I have no doubt that Labour, in conjunction with the SNP and the votes of the minor parties, the Lib Dems excepted, could form a government. It is quite possible that a combination of a further increase in Labour's percentages combined with UKIP's northern vote going to Labour and the Lib Dems eating into Tory seats could result in a hung parliament. This is a very real possibility. It is also a very real possibility that Progress MPs like Peter Kyle and John Woodcock would simply refuse to vote for a Corbyn administration. Woodcock has already said he won't support Corbyn. Every Labour MP should be asked whether or not they will vote to make Corbyn Prime Minister if Labour has the possibility of forming an administration. If they refuse to say then another Labour candidate should be put up to stand against these New Labour rats who would prefer a Tory administration to one headed by Corbyn. I have no doubt that May's majority can go down further if Corbyn sticks to a radical manifesto and promises the end to the privatisation of the utilities. Fuel poverty is a real issue. Housing is another issue - rent control and security of tenure would do more than anything to break a housing market which shuts out the poor from decent housing, coupled with a target of building half a million homes a year. Rail nationalisation within one year not dragged out over an impossible 15 years when the Tories would have got back in and halted the whole process is feasible. A principle should be adopted that no company that took nationalised assets for a song should be allowed to profit from them. Labour should also tackle Trident and nuclear weapons head on. Firstly that with the abolition of Trident no worker engaged on producing them will lose their job or existing terms and conditions. Instead the shipyards will be converted to things like making windmills, sea barrages and things that are useful to the economy. Secondly Corbyn needs to go on the offensive. Those who make the preposterous claim that it is only nuclear weapons that make us safe need to answer the question as to why the Netherlands, Germany, Spain etc. have no nuclear weapons yet are still standing! And as regards the question of whether he would push the nuclear button the answer should be quite clear. If it ever gets to a situation where any Prime Minister needs to push the button it will already be the end. On the contrary the possession of such weapons means that in a nuclear conflagration, Britain will be a target for Russian (or Chinese) nuclear weaponry.